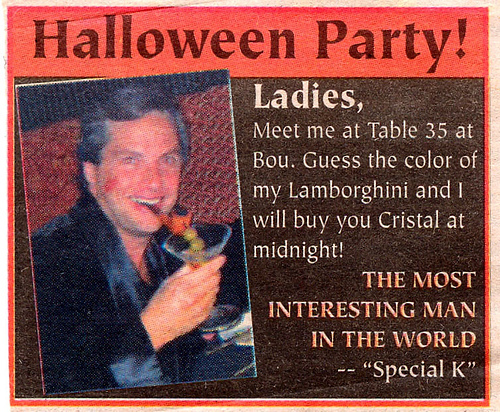 This advertisement, which appeared in an Aspen newspaper, was submitted to me through means I've been told not to divulge. Don't you wish you had a time machine that could send you back one month and also drive you to Aspen? Specifically to whatever "Bou" is? Second Only to "Constantly Vomitting Girl"
The Answer, Apparently, Was "Enzo Ferrari"